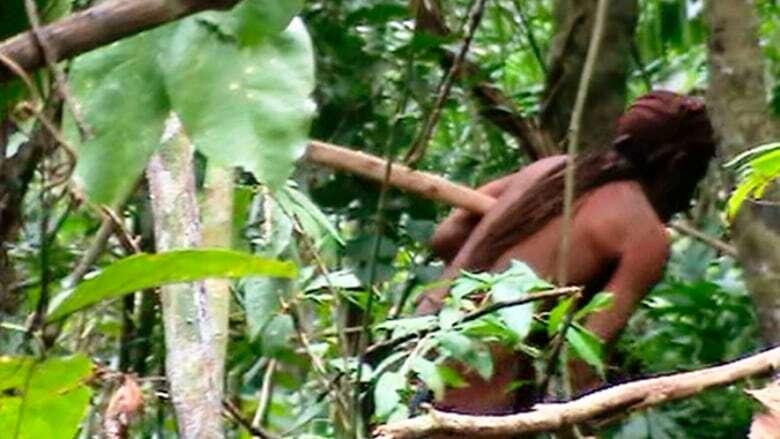 A Brazilian government agency has released footage of an Indigenous man who is believed to have lived in isolation, uncontacted, in the rainforest for 22 years. The man, with hair down to his knees and wearing only a loincloth, was captured on video as he chopped down a tree. Funai, the government's Indigenous agency, believes the man, known as the "indigenous man in the hole" is the last surviving member of his tribe. "In the 1980s, disorderly colonization, the establishment of farms and illegal logging in [the state of] Rondonia led to repeated attacks on the isolated Indigenous peoples who had lived there until then, in a constant process of expulsion from their lands and death," Funai said in a news release posted Wednesday. Funai believes he has been living alone since an attack by farmers in late 1995 wiped out the rest of his group of six. 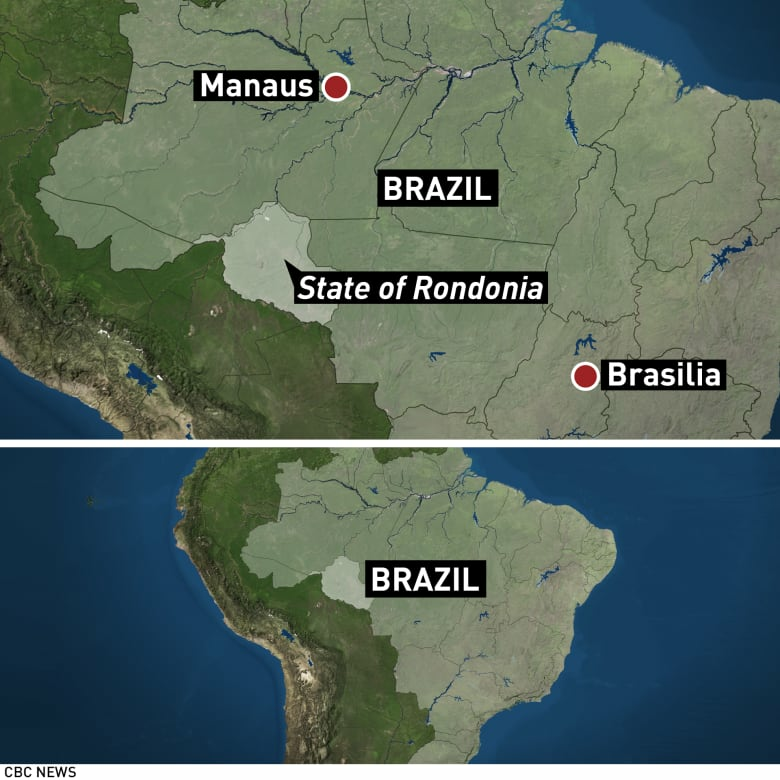 "This man, unknown to us — even losing everything, like his people and a series of cultural practices — has proved that even alone in the middle of the bush, it is possible to survive and resist allying with society," said Altair Algayer, Funai's co-ordinator for Rondonia. Funai monitors Indigenous lands with the aim of protecting the land and the people. "It is incumbent upon Funai... to guarantee to the isolated peoples the full exercise of their freedom and their traditional activities," the agency said. Funai staff initially attempted to make contact with him but realized he was reluctant, so they instead started leaving behind some tools and seeds for his use. "We monitor him from afar," Algayer said. Listen to Fiona Watson of Survival International speak with As It Happens guest host Laura Lynch about the video's significance. So-called uncontacted people are those who have "no peaceful contact with anyone in the mainstream or dominant society," according to Survival International, a non-profit group that works to protect Indigenous peoples. The group says there are more than 100 uncontacted tribes around the world.